WordPress has been making the prospect of creating a blog easily for a long time. Generally speaking, blogging is typically viewed as more of a solo venture, rather than a group effort. Many people venture into writing about their lives, hobbies, travels, or whatever topic they choose because it is something they have a firm knowledge of. Running a blog on your own can be rewarding, too. After all, you get all the credit and all the reward. So, why would you want to do a collaborative blog in the first place? Well, first off, you can learn all kinds of new skills and tips from other people/writers, and it can help everyone expand their reach, too. Second, it gives your platform more diversity. Getting multiple perspectives and opinions can lead to some exciting discussions and ideas. 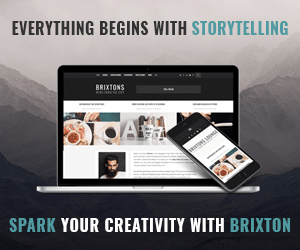 Whether you decide to start a new multi-writer blog or want to do a short-term partnership, blogging as a group can open up new opportunities for the parties involved. However, leading a group blog can be more than challenging. Since it’s unlikely that ALL the writers are working together in the same office space, most of the work is done remotely, which diminishes accountability and can cause some management frustration. Coordinating schedules, logins, and logistics can be a pain, too. If you want to test the waters of a collaborative blog, you must have the right tools and an effective team plan before you begin. Here are some valuable tips that will make your next group effort a breeze. Of course, using WordPress is probably the best option, especially if you are just starting up. The hosting site makes setting up a professionally designed blog super simple with thousands of templates that you can personalize (no coding skills required)! Now, when you are working with multiple writers on the WordPress blog, things can get a little bit more complicated, especially if a couple of people are trying to write or post at the same time. In order to avoid any headaches, it is easiest to just create multiple WordPress logins for each person involved. First, each contributor must create a separate profile. Adding a Gravatar (globally recognized avatar) for each user makes it easier to distinguish between accounts. Each profile should include a short bio snippet as well, as this is what will be displayed on their WordPress profile and contribution. The next step as the blog administrator will be to invite your fellow writers. Simply go to the Users tab on WordPress and then click Invite New. Once they’ve joined, you can assign roles to each account that will limit the types of changes they can make to your blog. 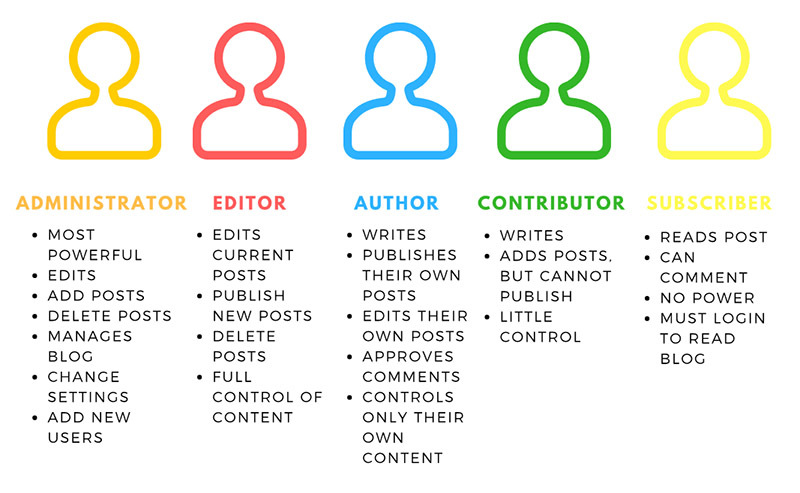 There are five roles you can assign, but only four of those roles can actually contribute to the blog. This is the leading role, as the administrator has the power to do everything on the blog. They can add posts and publish to the website, delete posts, make edits, and add new users. They also have total control of the design and layout of the blog. It is best to only assign this role to one or two people so that the overall vision for the blog stays uniform. Just like the name implies, the editor has control over what gets published. They can make changes to posts, delete pieces and comments, and they can add their own posts as well. Editors do not have the permission to change any designs on the blog or install plugins or themes. Again, only one or two bloggers should be assigned this role, unless you have lots of writers and run a large-scale blog. These are the typical writers for the blog, who must submit their posts to the editor before they can be published. They cannot publish their own work, but they may delete their own published posts. This will likely be your most popular role that will be assigned to anyone who provides the blog with content. A contributor role is quite similar to an author, with the exception that they cannot upload any files to a piece. This means they can’t add pictures or comments and cannot add new categories to the blog for their pieces. This role would likely be given to a temporary writer, a guest piece, an intern, or a unique situation that requires special editing attention. This is the only position that cannot add any pieces to a blog, and it is a role that would be assigned only to readers. A subscriber must be a part of the WordPress community and create their own log-in in order to check out the posts. Not all blogs require log-ins for readers, but many do require it in order to leave a comment. It’s a good idea to add in an Authors Widget to the page as well so that each writer gets credit for their pieces. The widget creates a sidebar that lists names (and optional avatars) to make it easy for readers to find more pieces written by the same blogger. Once roles have been assigned, it is necessary that you discuss project goals with your team so that you start assigning projects and pieces. It’s absolutely essential that everyone involved has the same vision for the blog before they start writing, so make sure that you are all on the same page beforehand. It’s a good idea to create an overarching design in parallel in order to help develop a cohesive concept for the blog. One of the biggest reasons people loathe team projects and group blogging is because it can be difficult to get multiple people to work together. Trying to coordinate with multiple writers (especially remote ones) can be cumbersome if you don’t have the right tools and software to help. Sadly, most team projects are doomed from the start because of poor coordination in communicating jobs effectively. Project management systems offer an easy solution for the most common problems team bloggers face. 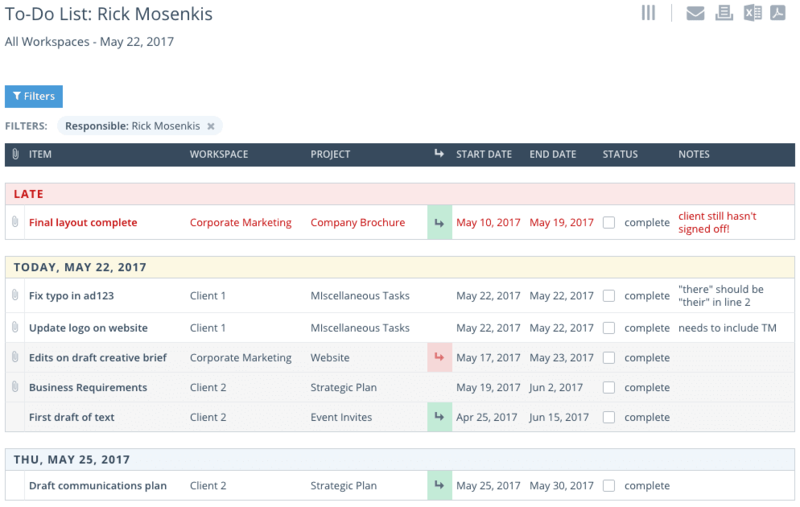 Many businesses have found that using a PM software system greatly improved the outcome of group projects, especially in terms of team communication and sticking to timelines. Collaboration tools like Workzone provide group bloggers with an all-inclusive platform for managing their output. As the administrator, you can assign tasks to editors, writers, graphic designers and content marketers, so everyone knows what they need to work on next. They can clarify their requirements with comments and questions directly on the dashboard for each assignment, so you don’t need to worry about any confusion when it comes to posting requirements. Managers can track progression and send out alerts whenever a deadline is approaching. Rather than emailing back and forth, members can share and secure files and markup documents right within the program, making publishing a much easier task. When you are running a group blog, it is critical that EVERYTHING is planned and executed in one place. As a blog manager, it is up to you to create an environment of effective back-and-forth communication, putting in place a formula that uses everyone to the fullest extent. Managing a group of writers is never a one-dimensional task. Each member brings something unique to the table. Whether it be their know-how, writing style, or sense of humor, every person has talent and advantages in specific areas. While it is always good to push people to try new things and improve weaknesses, playing to their strengths can be much more beneficial. One study found that when workers were able to maximize their potential in their areas of expertise, they were far more likely to be engaged than those who were pushed to improve their weaknesses. Engagement levels have a direct link to productivity, so playing to the strength of each writer can really make a strong impact on the success of the blog. As the blog manager and administrator, it can be easy to get caught up in the idea that you have to run everything yourself. This type of mentality ultimately leads to enormous stress and burnout. Use the talent of your team to your advantage and be willing to let go of the reins a little bit when you can. If one of the writers has potential or talent in design, ask for them to help set up your blog theme. If another contributor has a special gift for analysis and numbers, let them handle KPI management. Even more, SEO is a big piece of the puzzle that makes for a high traffic blog. Conducting basic keyword research and knowing how to organically include certain terms within the content is a significant factor in improving site visibility. When you are looking for writers to contribute, it’s important to gauge whether or not they have a basic understanding of how this process works in relation to WordPress. 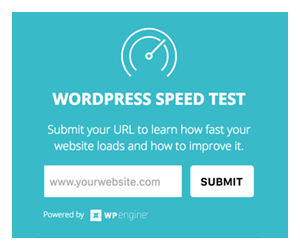 Are they familiar with the Yoast SEO plugin? Do they know how to create SEO-friendly tags? Not only will this lessen the load for you, but it can also help your team members cultivate leadership skills of their own. While encouraging bloggers to venture into new territories can turn a good writer into a great one, it is still important to recognize the things they already excel in. Be open to suggestions from each writer and contributor about what subjects they would like to write about or the vision they have for their next pieces. Keep an eye out for opportunities that could help them develop and improve their skills even more. Want to know the easiest way to ensure that your group blogging effort is a total utter failure? Don’t communicate. This is far and away the number one reason why many team projects go up in flames. Effective communication is especially important in blogging since most of the work is done remotely. It may not be possible to meet face to face regularly, especially if you are working with a large group. Coordinating group meetings is essential for building a company culture, but if your team is located all over the country (or the globe), video conferencing can be a great alternative. 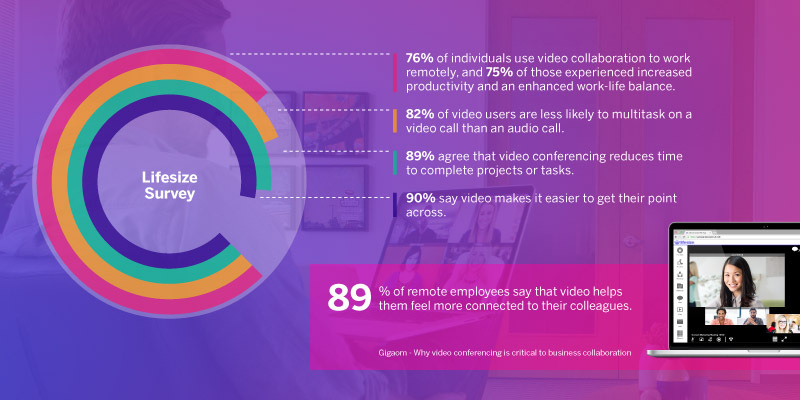 89% of remote workers said they felt more connected to their colleagues with this tool, and businesses saw a 75% improvement in productivity by hosting regular video conference calls. Be sure to do your research and use the communication tools that fit your exact needs, so that everyone’s voice is heard. Private webinars are an extremely popular format for conducting Q&A sessions that target a niche or just your customers instead of a broader audience. Many bloggers live under the assumption that these are awfully tough to produce. However, a tool like ClickMeeting makes the whole process easy. The system allows you swiftly craft a presentation, share whiteboards, show slides, take polls, and foster two-way communication. 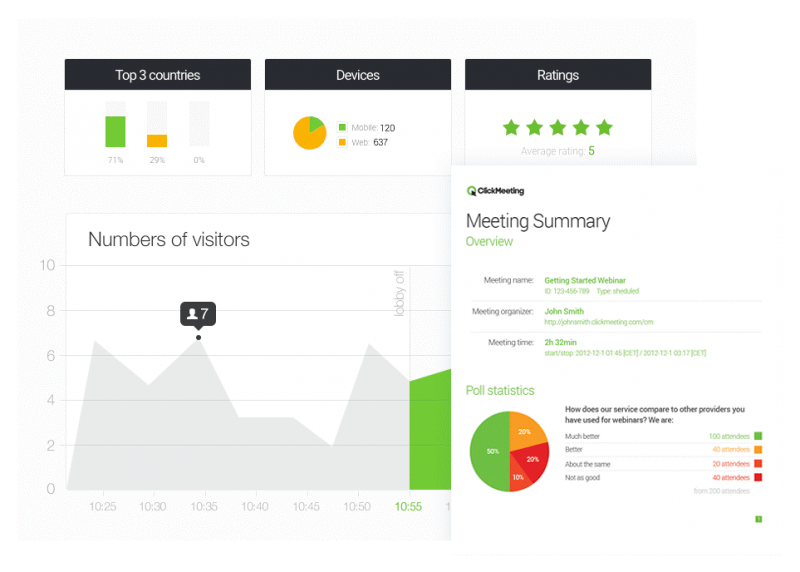 It even provides in-depth reports on your engagement numbers after the webinar. The key here is quality over quantity. Using too many tools and features can make things over-complicated. Long email chains, multiple message sites, numerous logins, and tons of files and folders can cause confusion and frustration, and it certainly increases the likelihood of important memos and documents getting lost. It’s also important that your tool (or tools) of choice are actually implemented and used to their fullest potential. 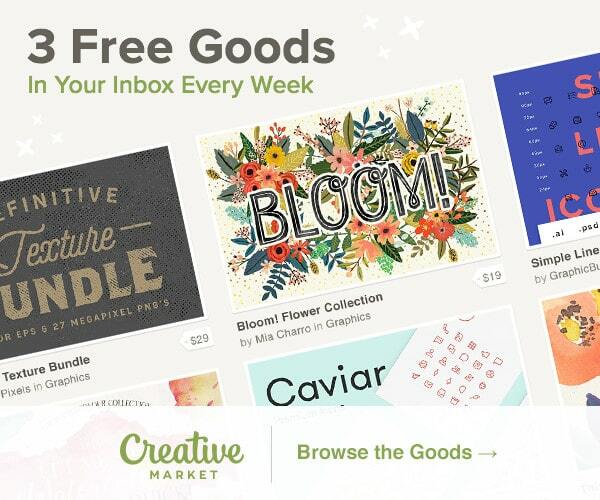 It would be foolish to invest in an expensive program that no one uses, or just replaces a free tool, like email. Work together as a team to come up with a system that everyone can follow to streamline the process of communication throughout brainstorming, planning, execution, and ongoing improvement. It’s essential that your blog has a solid content marketing strategy in place when it begins, else there is a good chance it will turn into a complete disaster. In order to make sure that your whole project doesn’t fall apart, a good collaborative team will need to know how to work together as a creative unit. Always be 100% clear in assigning roles and be sure to separate logins. Take your vision into account and choose the tools that will help you to divvy out projects in a clear manner that diminishes confusion. Do your best to play to the strengths of everyone on the team, while helping them develop their skills and learn new ones. And finally, place a heavy emphasis on clear communication between everyone involved. Try to host in-person or virtual meetings as often as possible to maintain a strong connection and innovative culture. No one said that running a WordPress group blog was easy, but showcasing the talent and content of multiple writers can help you expand your blog’s scope and reach wider audiences. There’s no doubt that everyone can learn from each other’s gifts, talents, and expertise, but trying to get multiple people to work together can be tricky. If you are able to implement the right tools and strategies from the start, then your blog’s output is sure to benefit from this type of collaboration. Pratik Dholakiya is the Co-Founder of E2M, a full-service digital marketing agency, and Preceptist, an Executive Branding agency. He regularly speaks at various conferences about SEO, Content Marketing, Growth Hacking, Entrepreneurship and Digital PR. Pratik has spoken at NextBigWhat’s UnPluggd, IIT-Bombay, SMX Israel, and other major events across Asia. As a passionate marketer, he shares his thoughts and knowledge on publications like Search Engine Land, Entrepreneur Magazine, Fast Company, The Next Web and the Huffington Post to name a few. He has been named one of the top content marketing influencers by Onalytica three years in a row.